Candy, cookies and ice cream all in one. What can be better than that? 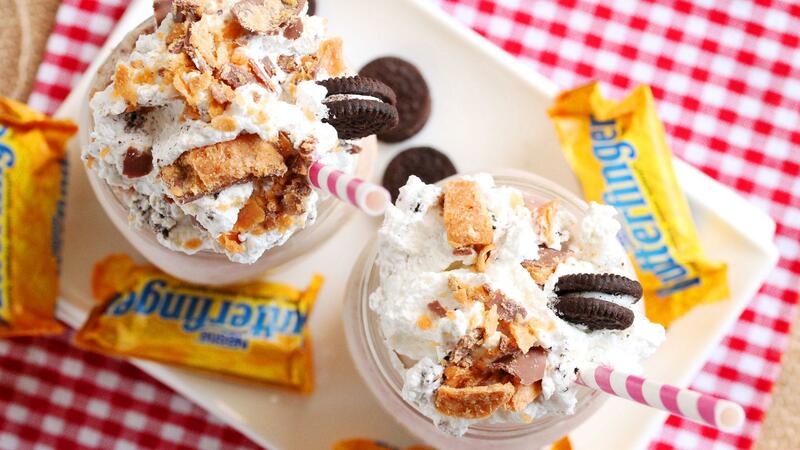 Here’s a milkshake to remember — it comes with a candy crunch on the inside and a light cookie crunch on the outside. This is definitely worth getting a milkshake mustache and just plain old digging into without using a straw. I’ll admit I may have done this once. OK, more than once. 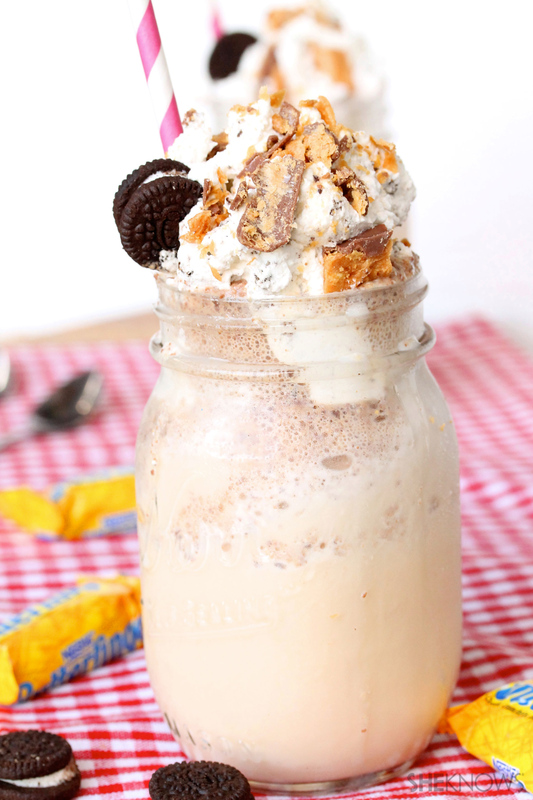 Add the ice cream, milk, candy bar and malted milk to a blender. Blend on the milkshake setting. Add just a bit more milk if a thinner shake is preferred. Pour into serving glasses, and top with a generous portion of whipped cream topping. Garnish with chopped Butterfinger candy. To a mixing bowl, add the whipping cream and sugar, and beat until semistiff peaks are formed. Fold in the ground Oreo cookies.